As I write this blog (from the local Starbucks), many parts of APQC’s hometown of Houston are still working to recover from Hurricane Harvey, an incredibly destructive Category 4 storm that hit Texas and Louisiana in late August 2017. This storm was considered a flood disaster, dumping a total of between 40 and 50 inches of rain in southeast Texas, and inundating many parts of Houston that had never flooded before. While termed “historic,” this type of weather event seems to be happening more and more frequently, with the “tax day floods” occurring only about a year and a half ago in Houston. One result is that some organizations that have never had a significant percentage of remote workers may be facing this phenomenon, rather unexpectedly, for the first time as their offices are reconstructing and rebuilding in the aftermath of the hurricane. Initially set upfront, structured expectations for remote work (goals, timelines, tasks, deliverables, communication, hours/availability, etc.). Connect with team members on a personal level, which requires deliberate outreach for remote workers and dispersed team members. Establish a predictable schedule for one-on-one, ongoing communications. Ensure all team members know their coworkers’ communication preferences. Establish a schedule (rotating?) that accounts for various time zones for virtual team meetings. Provide remote, public praise for good work achieved. Empower teams to work where and how they are most productive. Shift the focus of performance from “presence” to output/outcome/impact. Plan regular gatherings to help teams bond and get energized on collective goals. Deliberately address the well-being of off-site employees. Intentionally schedule career development discussions with off-site employees. Provide a toolkit from HR to managers for supporting remote employees and leading dispersed teams. While the remote work phenomenon for some employers may be a temporary situation, many employers offer remote work as part of doing business as a key attraction, employee engagement, and retention mechanism. In fact, APQC’s research on Preparing for the Future of Work has found that today’s employees are increasingly demanding flexibility in when, where, and how work gets done. 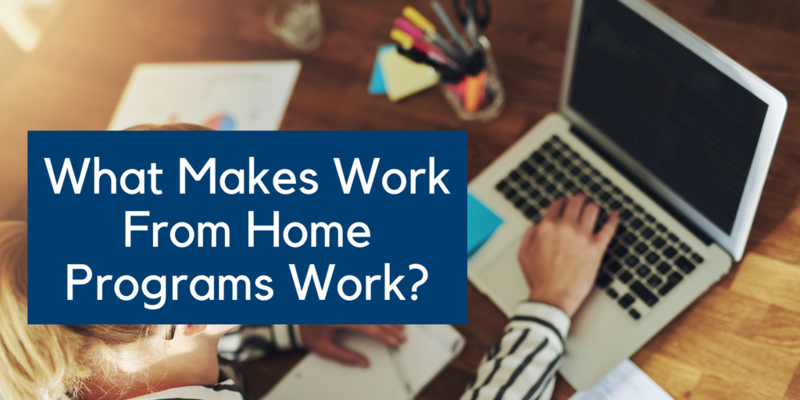 According to this study, when asked about changes that would make them and colleagues more productive, many survey respondents cited the need for increased control over their own schedules and activities, including increased flexibility to work from home when it makes sense to do so. Sixty percent said more flexibility to customize their working schedules or hours would make them more productive, and a similar proportion said that more flexibility to work from a home office or alternative location would boost their own and colleagues’ productivity—most likely from the ability to avoid transit time and minimize distractions when performing work that requires intense concentration. The resources above from APQC will help both organizations facing a temporary remote work phenomenon, as well as organizations embracing the trend, work smarter, faster, and with greater confidence.